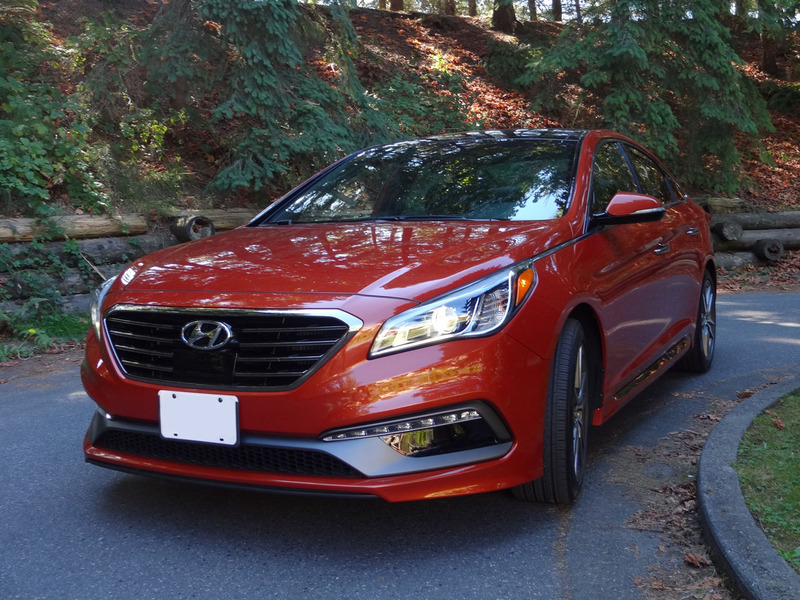 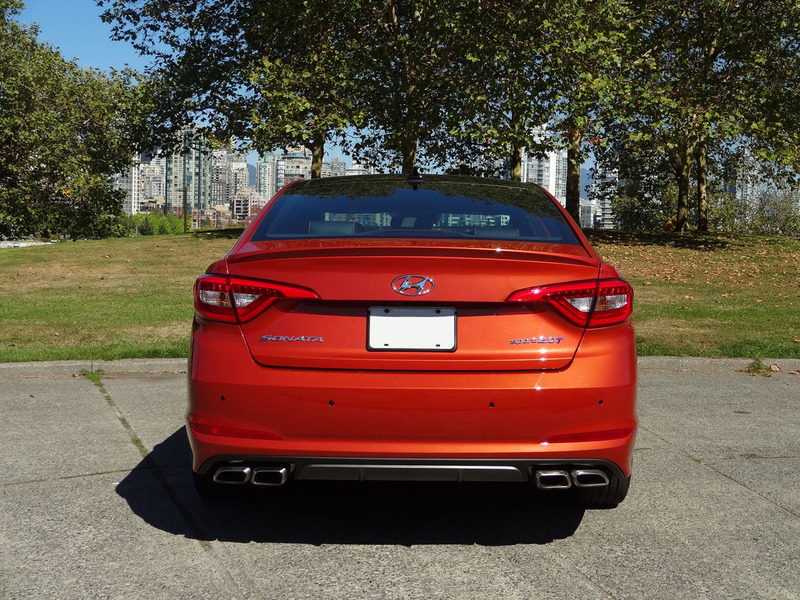 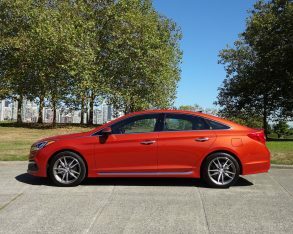 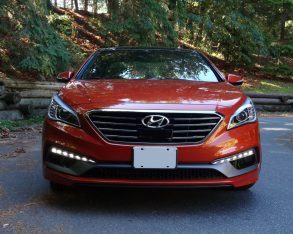 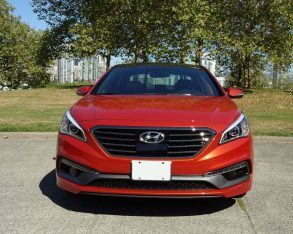 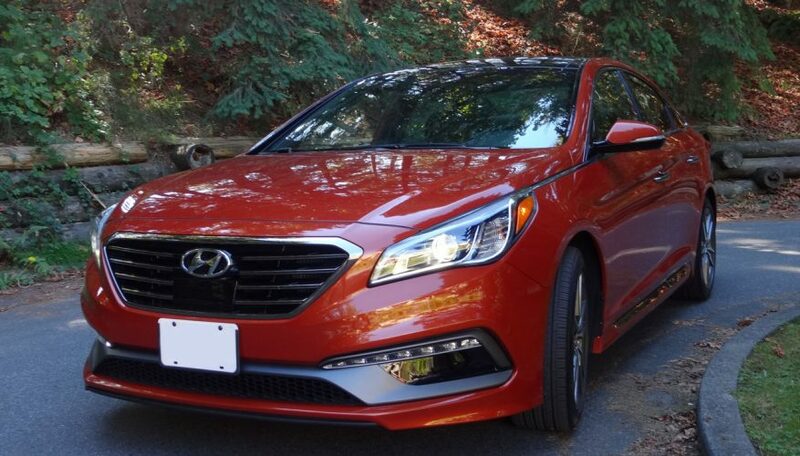 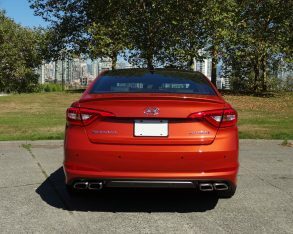 mid-size Sonata sedan accounts for over 25 percent of the Korean-based company’s North American sales, with the compact Elantra selling an even greater share over the past couple of years. 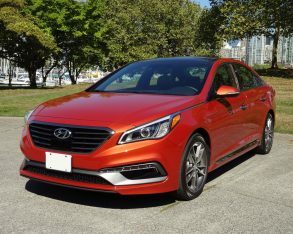 That means over half the company’s sales here have four doors and a trunk, before you even count the subcompact Accent sedan, U.S.-only Azera, premium-level Genesis sedan, and top-tier Equus. It therefore wouldn’t have been be surprising if Hyundai had played it safe when redesigning its popular Sonata mid-size sedan. 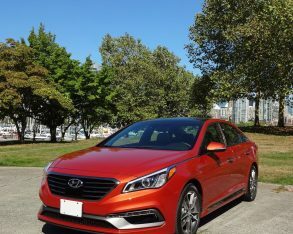 After all, when you’re the current number-three seller in Canada, and are competing on a crowded playing field that includes the likes of the Ford Fusion, Toyota Camry, Honda Accord, Chevrolet Malibu, Nissan Altima, Chrysler 200, Kia Optima and Volkswagen Passat, why take risks? 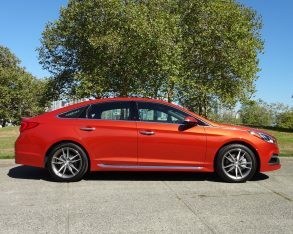 answer, it seems, is that Hyundai isn’t content to be number three and is gunning for the top spot. 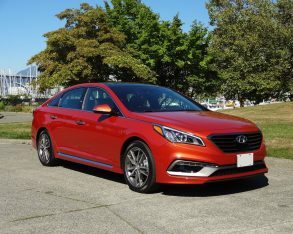 So where the previous Sonata was styled to get noticed, standing out from the crowd with its curvaceous love-it-or-hate-it "Fluidic Sculpture" design, the new Sonata eases back on the styling statement and goes with a more conservative, grown-up appearance. 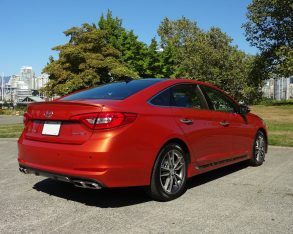 of the latest Ford Fusion and Toyota Camry. Not that there’s anything wrong with that. 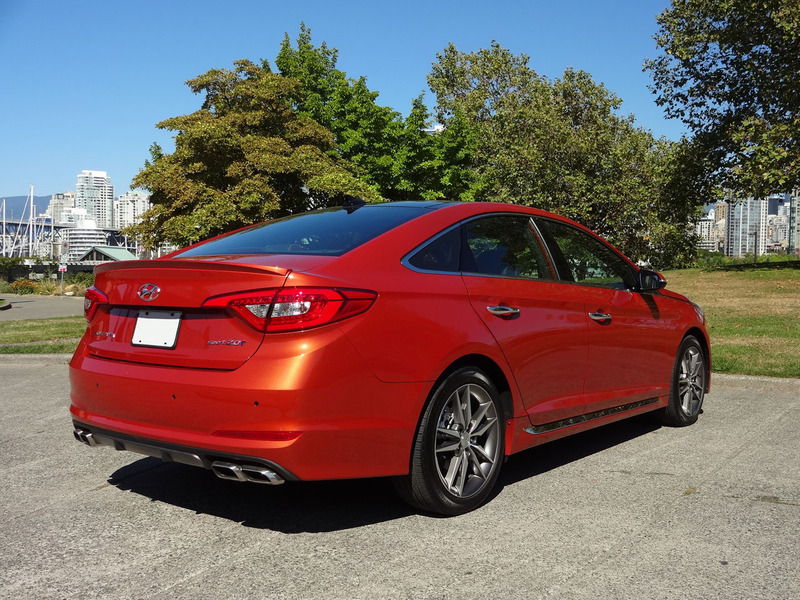 The Sonata comes in a wide range of trim levels featuring a pair of different engines. 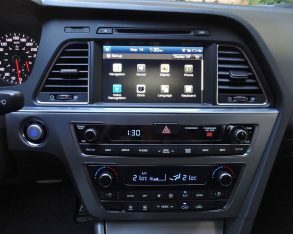 There’s the base GL, the GLS, Sport, Sport Tech, Sport 2.0T Limited and Ultimate 2.0T. 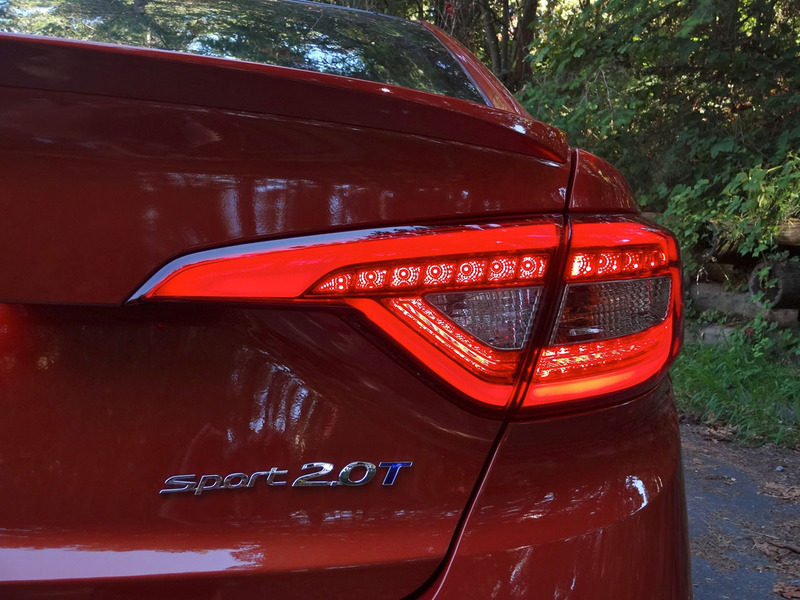 My test car was the top-of-the line Ultimate 2.0T model, which combines all the performance-oriented features of the Sport 2.0T with most of the luxury features of the Limited. 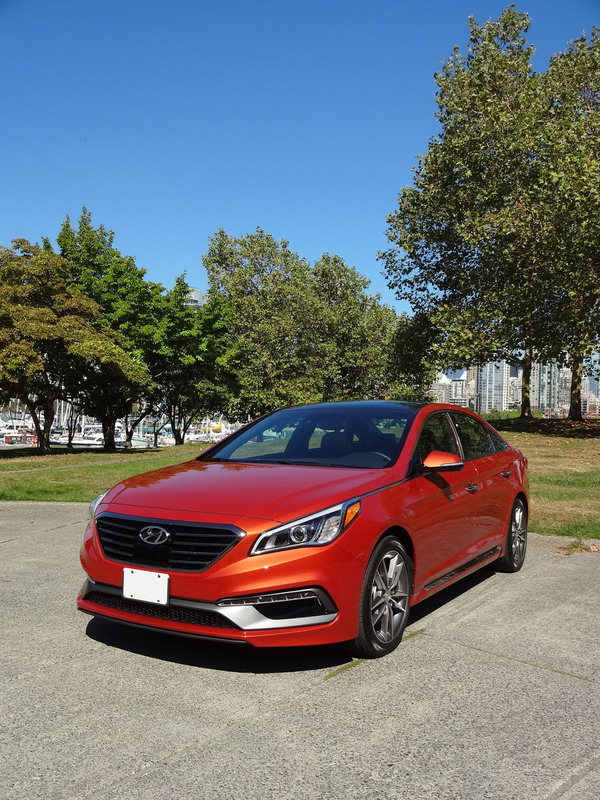 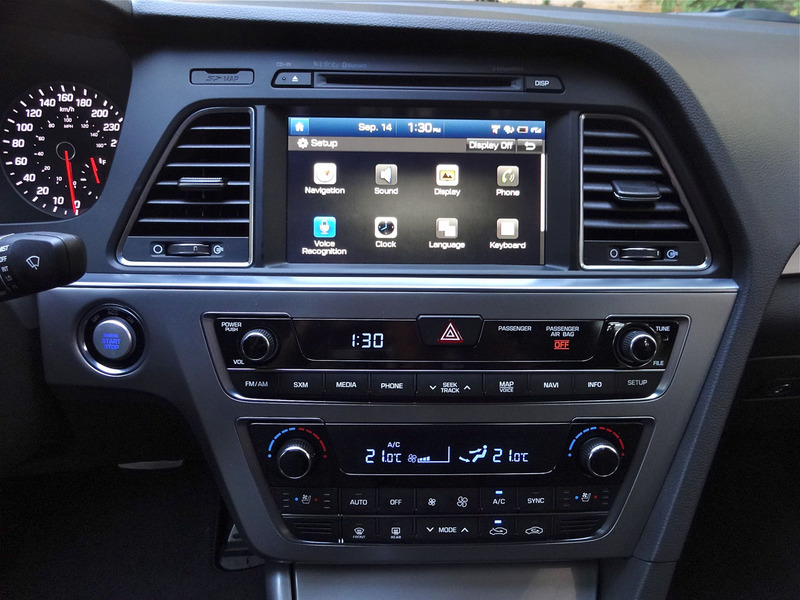 It adds up to an impressive level of equipment for a car that lists at $36,494 destination included (and not counting a $750 price adjustment that the manufacturer was showing on its website at the time of writing). 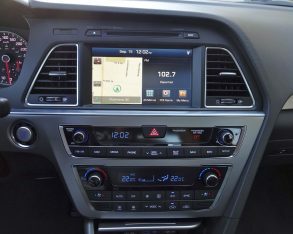 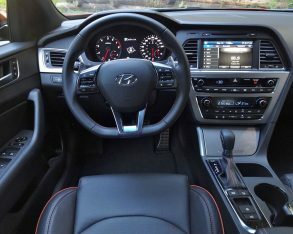 rear seats, an eight-inch touchscreen infotainment system with navigation and a rearview camera, nine-speaker Infinity audio with satellite radio, proximity sensing keyless entry with alarm, pushbutton start, blind-spot information, lane departure warning, front collision warning, adaptive cruise control, an electric parking brake with auto function, a panoramic sunroof, alloy pedals, built-in rear sunshade blinds, 18-inch alloy wheels (even base models get alloys), a hands-free smart trunk, and a bunch of sport-specific exterior trim including a more aggressive front grille, rocker panel extensions, a trunk lip spoiler, rear diffuser, dual twin-tip exhaust, and chromed side moulding. 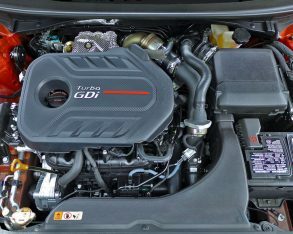 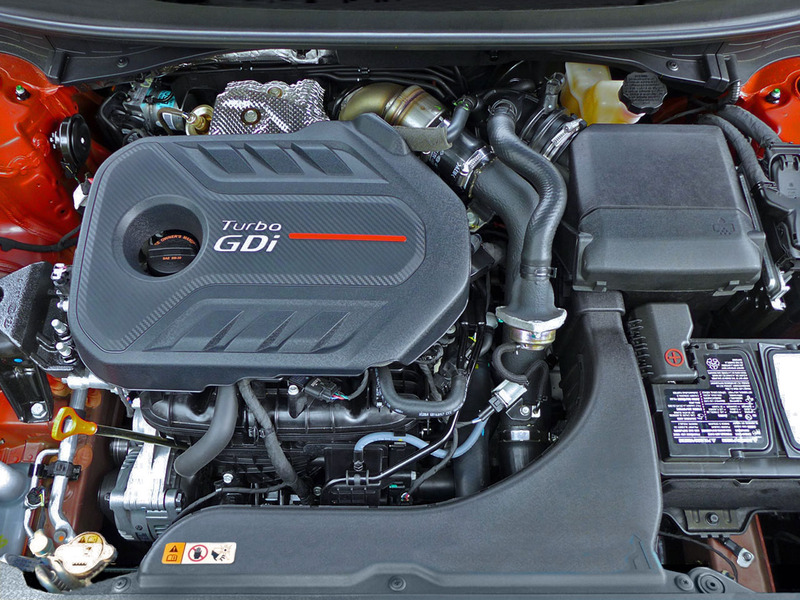 carried over from the previous-generation car but with a significant revision: it now has a smaller turbocharger, which improves low-end responsiveness (and fuel efficiency) at the cost of some high-end oomph (the little turbocharger simply runs out of steam at high rpms). 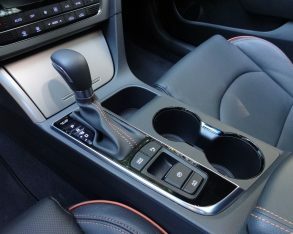 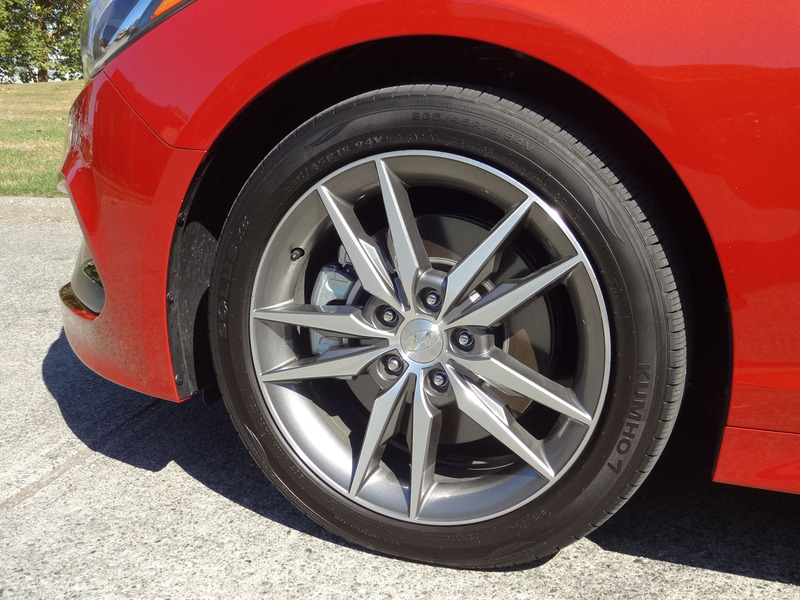 Getting the power to the front wheels is a six-speed automatic transmission with paddle shifters. 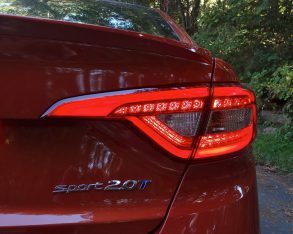 lost horsepower because the initial launch feels as quick as ever – perhaps even quicker – but on highway grades and on-ramps the engine noticeably lacks the grunt of its V6 competitors. 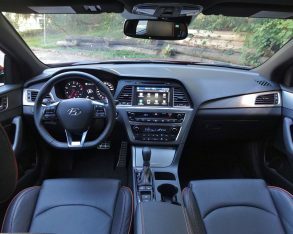 The transmission is competent if perhaps a bit unremarkable: It performs its duties quietly in the background when run in automatic mode, but in manual shift mode it exhibits excessive lag time between the point that you click the shift paddle and when the shift actually executes. 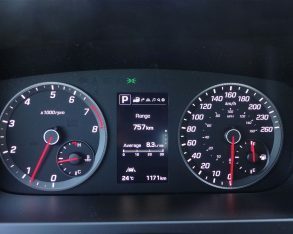 If you decide to make a run for the redline, on the other hand, the transmission will take over entirely and shift about 700 rpm before you get there. 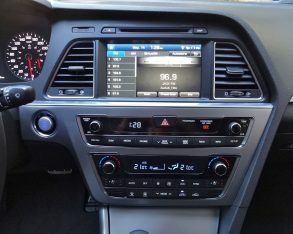 2015 models. 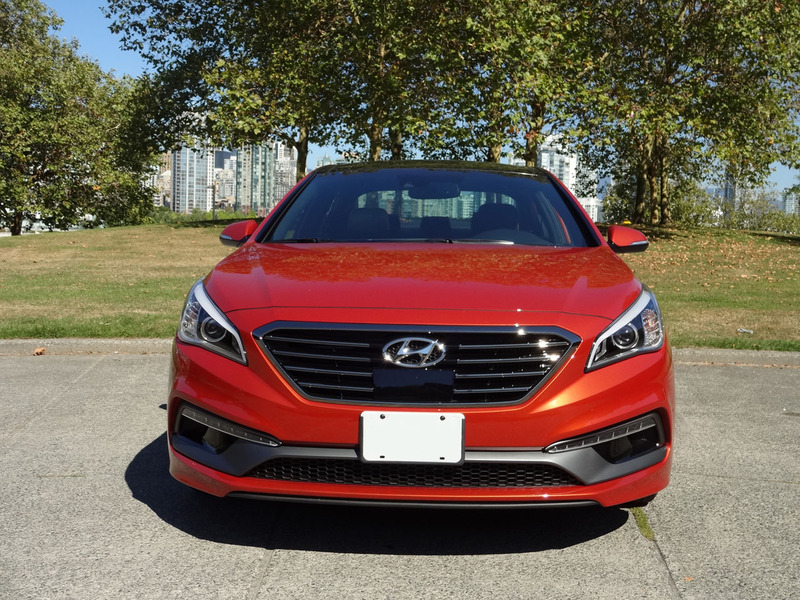 The new 2015 Sonata 2.0T is rated 10.4 / 7.4 L/100km (city/highway) under the five-cycle test, while the 2014 Sonata 2.0T rated 10.0 / 6.3 L/100km using the old two-cycle test. 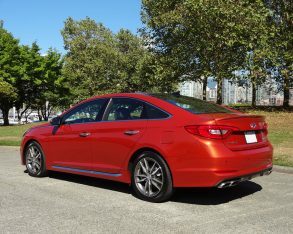 A better comparison would be to look at the 2014 U.S. model’s five-cycle EPA ratings, which work out to 11.2 / 7.4 L/100km. 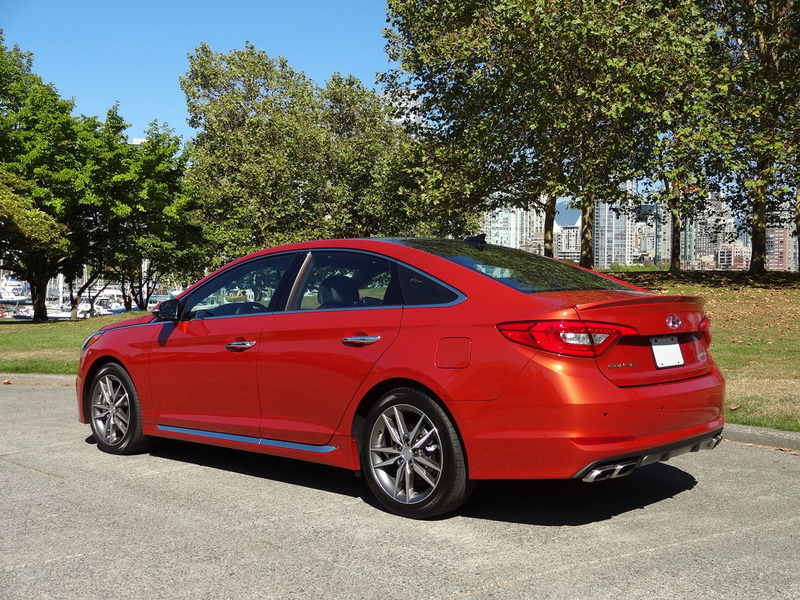 Using this comparison, the new car gets about seven percent better fuel economy in city driving and scores the same as before on the highway. 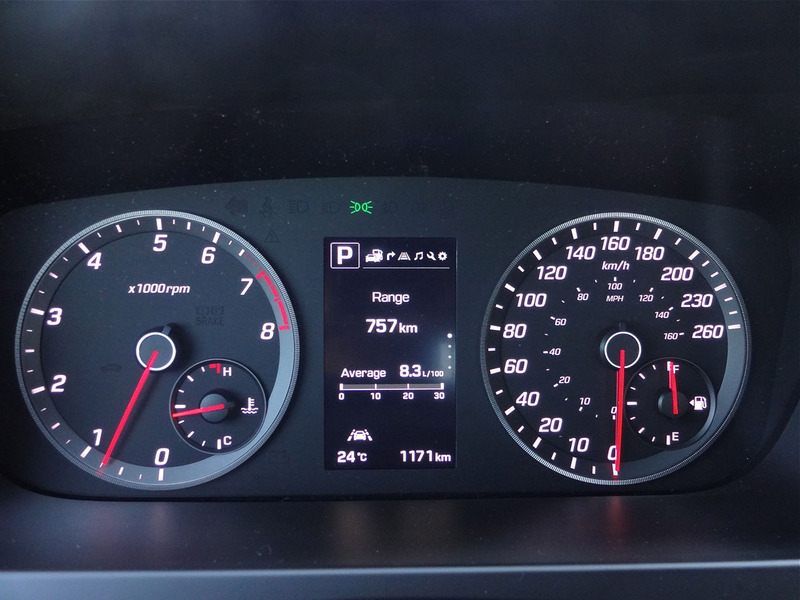 My own real-world driving bears these numbers out reasonably closely: I averaged 9.6 L/100km during a week of mixed driving, with a worst-recorded single trip number of 13.6 L/100km and a best-recorded result of 8.3 L/100km. 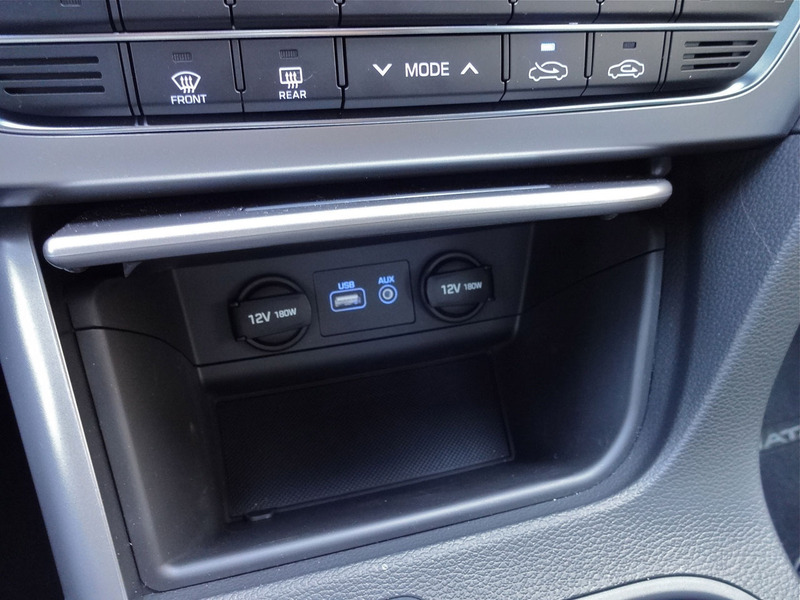 to the standard column-mounted power assist), with the result that its steering is now entirely on-par with others in the segment, maybe even better than some. 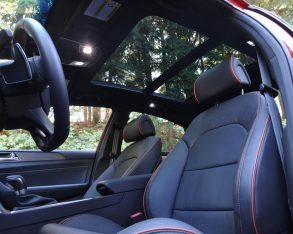 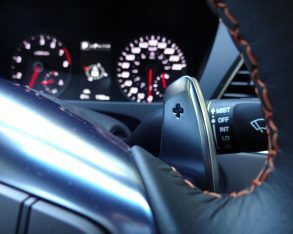 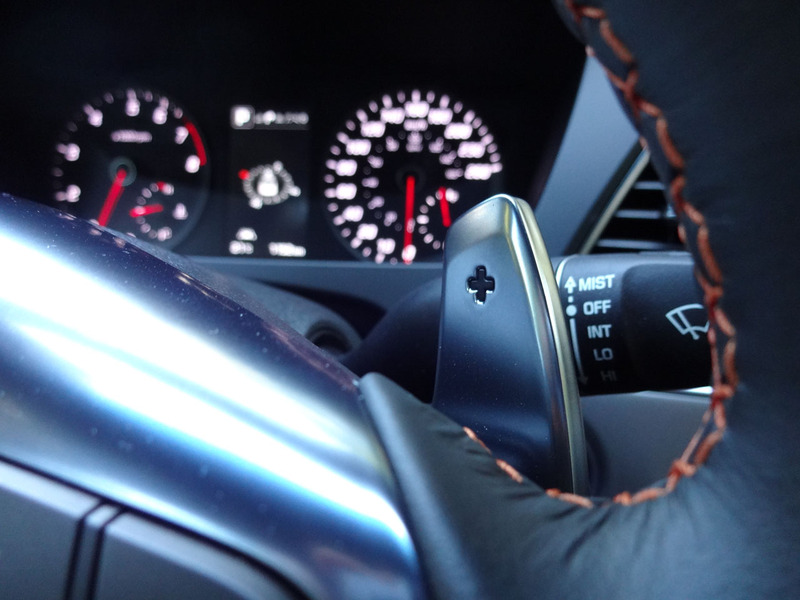 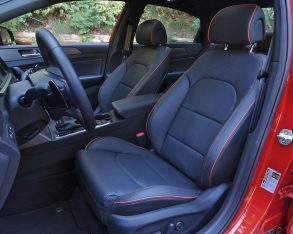 But while it is precise and responsive enough, it still lacks a little in heft and feedback, even in sport mode (you can cycle through Normal, Eco and Sport drive modes using a button on the console, with each mode adjusting the steering effort, throttle response and shift programming accordingly). 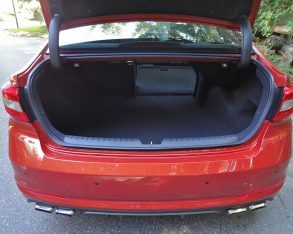 The chassis, for its part, exhibits perfectly competent road manners and handling, at least at the sort of speeds one is restricted to on public roads. 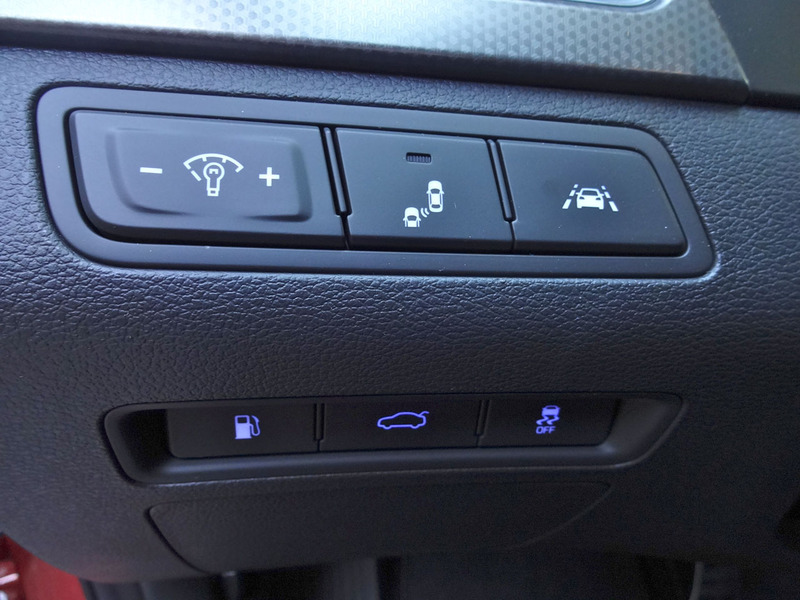 A noteworthy innovation is the electric park-brake’s auto hold feature, something I’d not seen before. 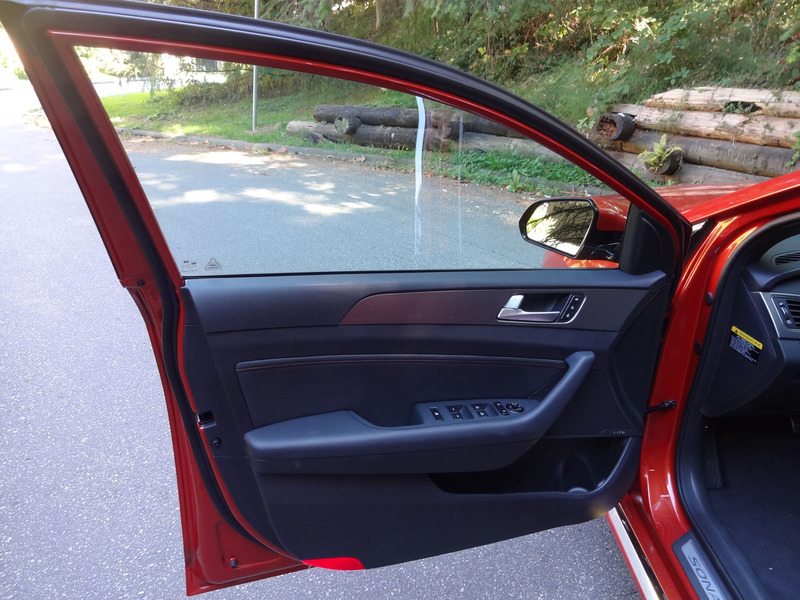 When you engage auto hold, then any time you come to a full stop the park brake sets itself and holds the car until you step on the gas, relieving the driver of the need to keep their foot on the brake. 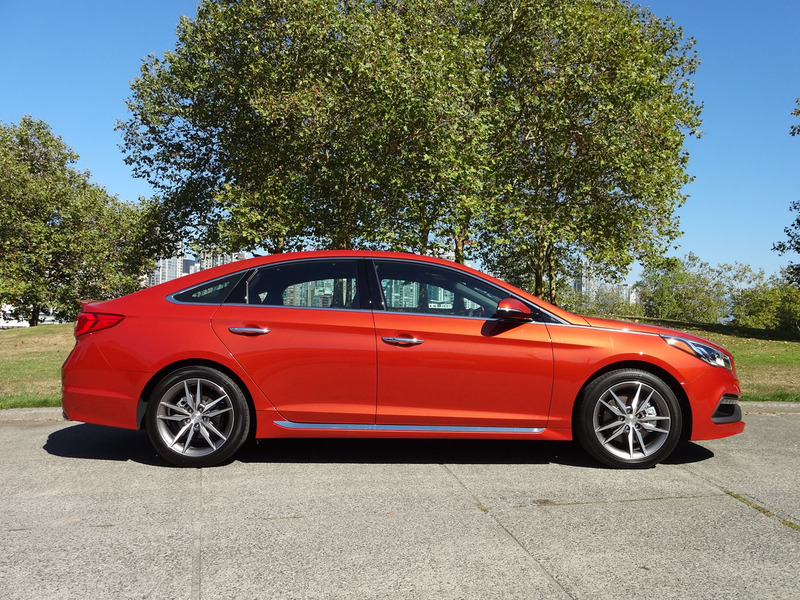 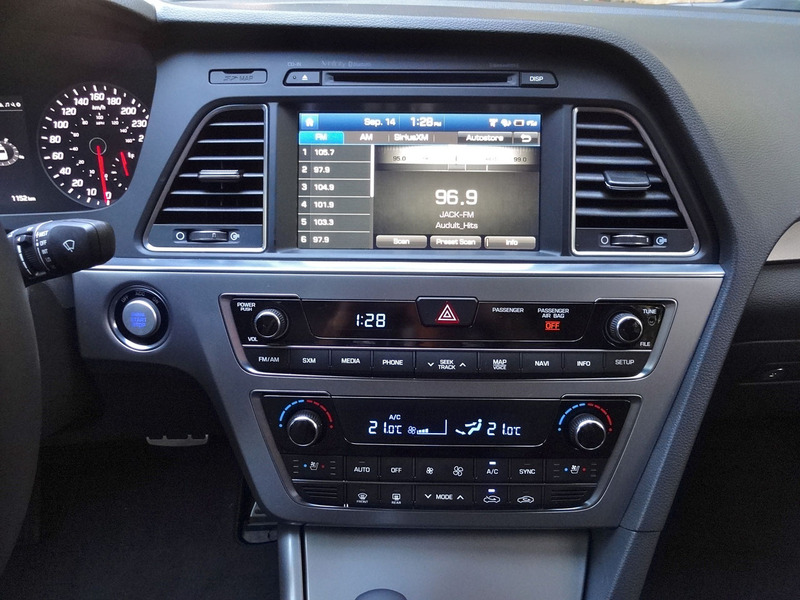 the new Sonata is amply spacious – big enough, in fact, that despite occupying the mid-size rung in Hyundai’s lineup it actually counts as a full-size car according to official U.S. EPA measurements. 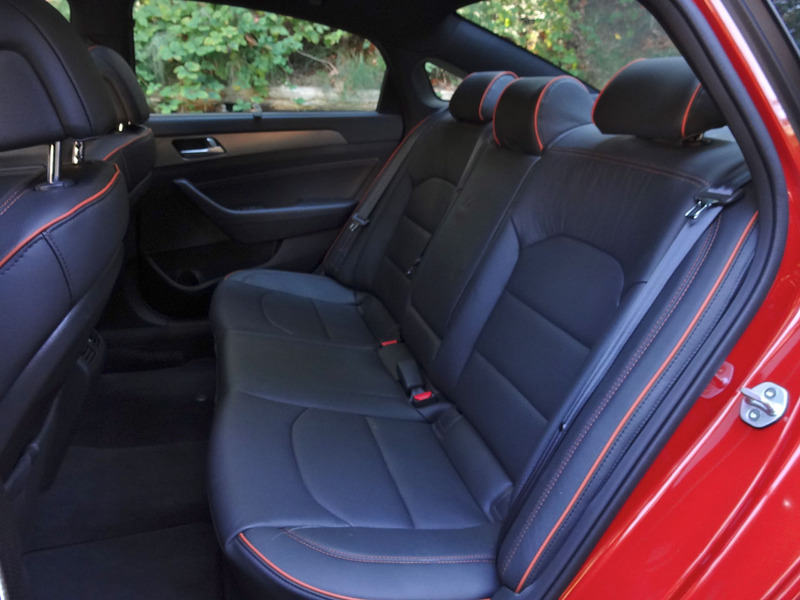 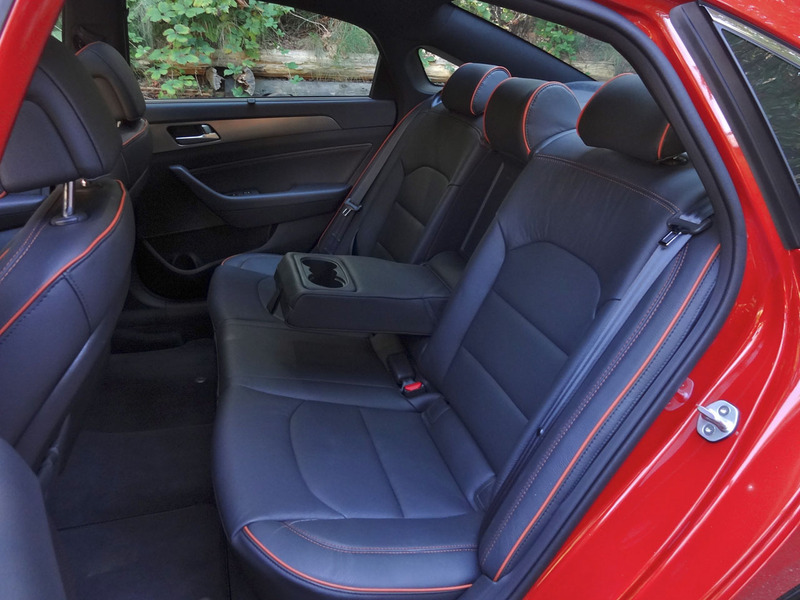 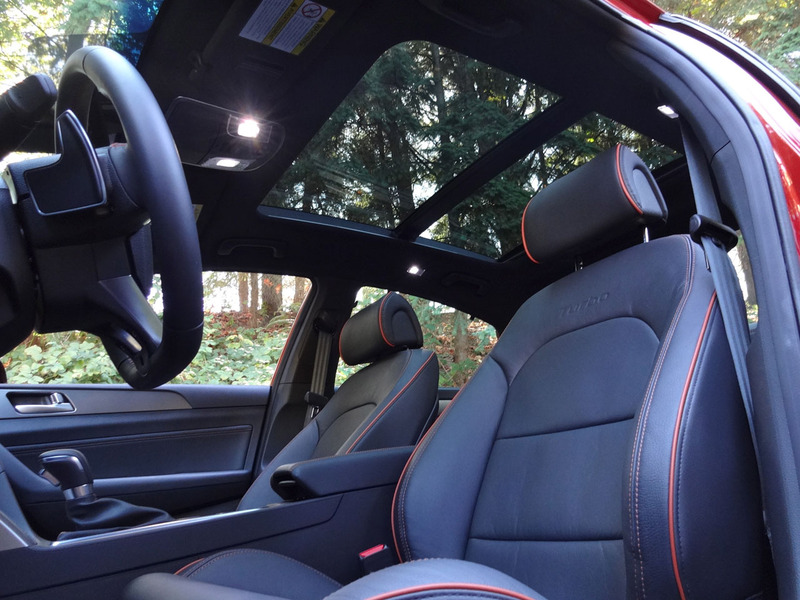 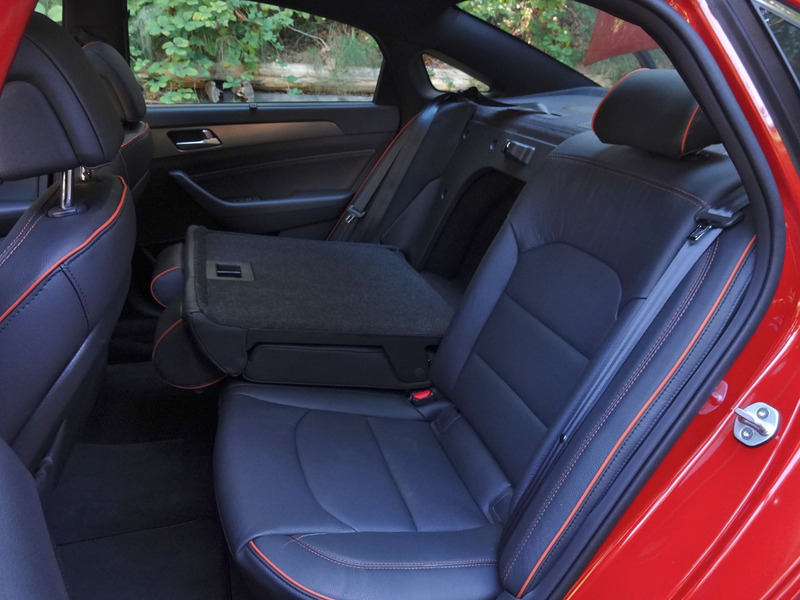 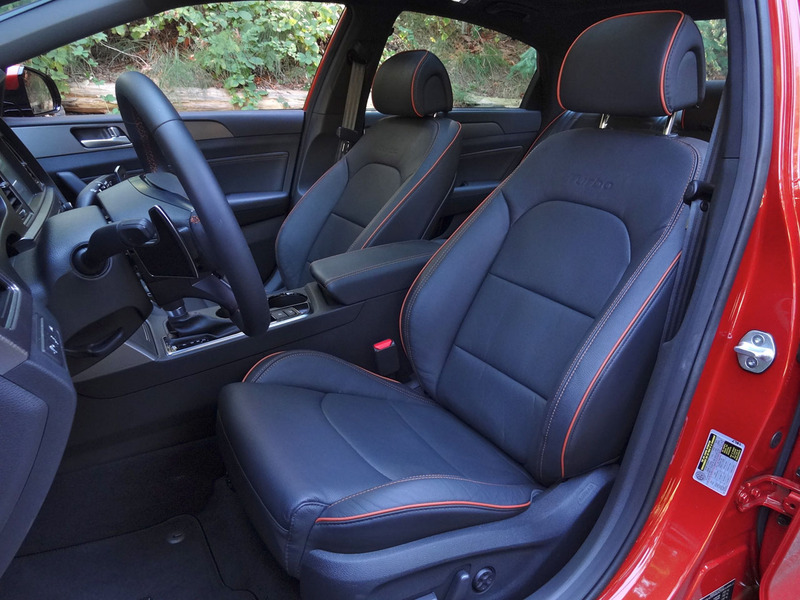 I found the front sport seats entirely comfortable for my five-foot-eleven frame, and the back seat is likewise a pleasant place to be, with generous legroom (an inch more than the outgoing model) and adequate headroom for folks up to about six feet (I fit with a little to spare). 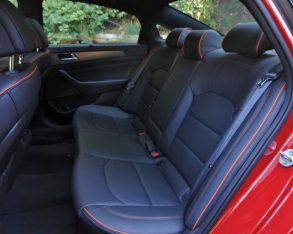 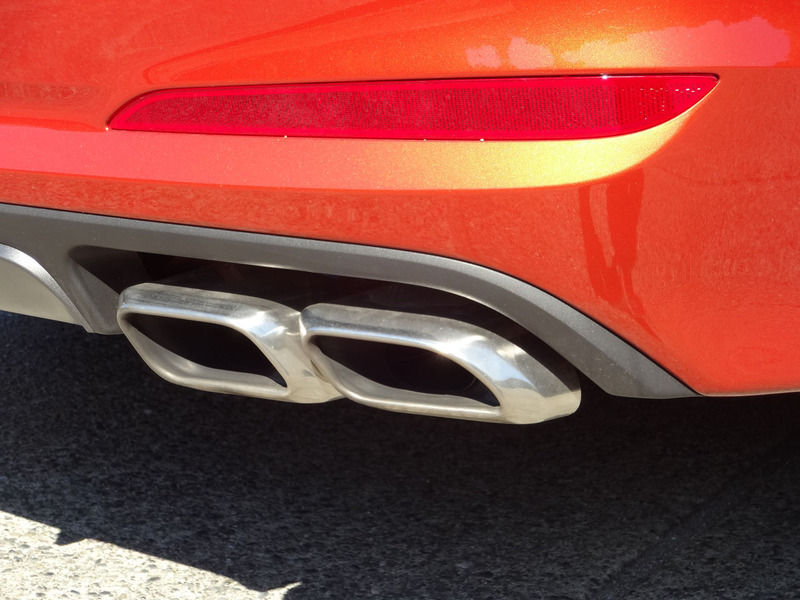 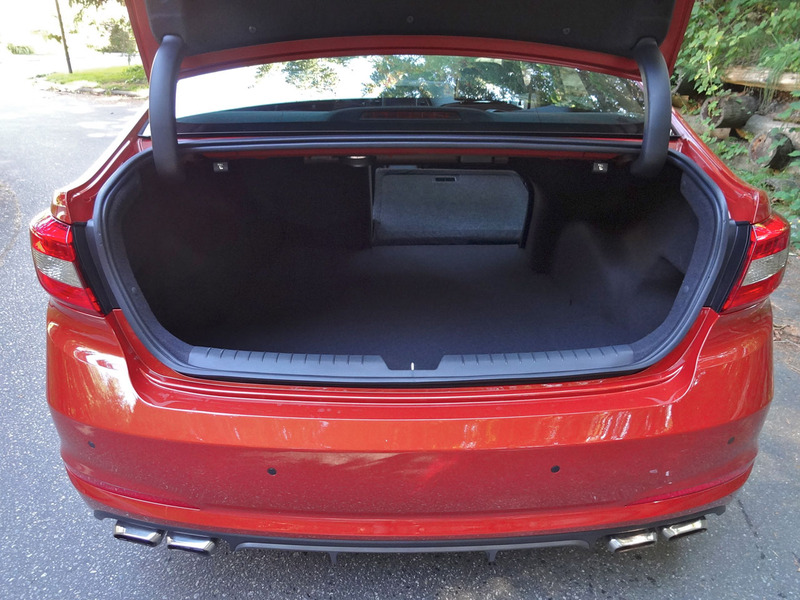 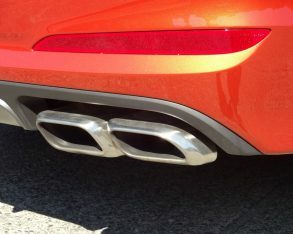 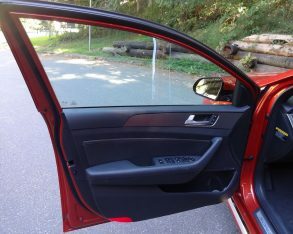 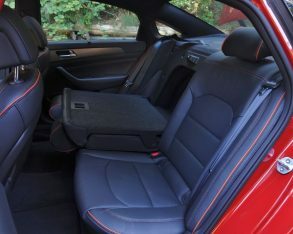 The trunk is a generous 463 litres, and Hyundai’s smart trunk feature provides hands-free opening without having to wave your foot under the bumper (if the system is enabled then the trunk will automatically open if you stand close to the back of the car for more than three seconds with the key in your pocket). 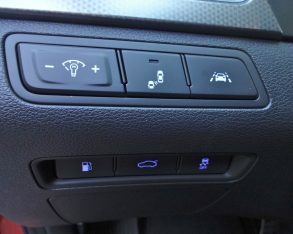 are used for the console and door lowers, as expected in this segment, and also for the instrument binnacle. 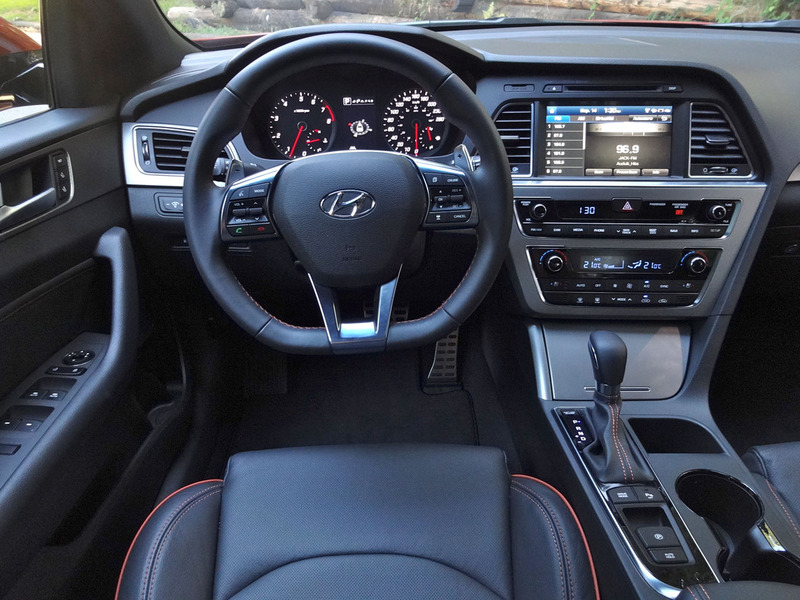 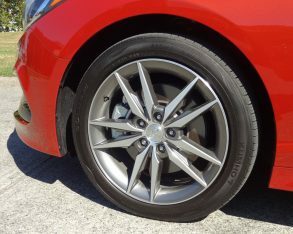 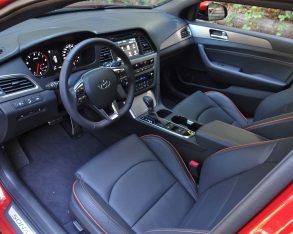 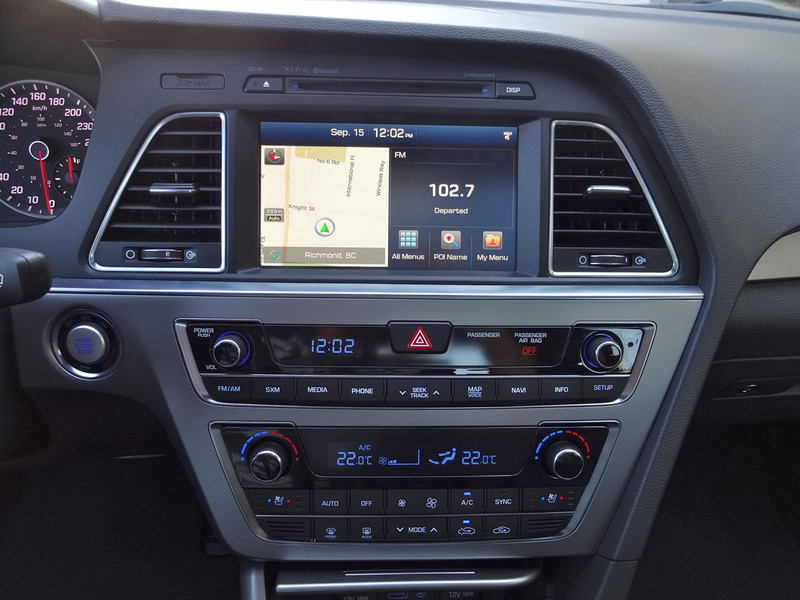 Hyundai has clearly -and successfully – expended real effort to create a premium look and feel, as evidenced by the colour-keyed stitching in my test car, the precision switchgear, and the just-right sheen of the metallic trim. 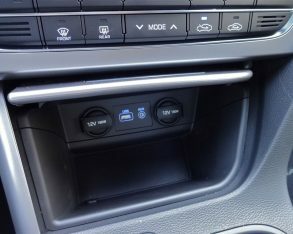 The only shortcomings I noted are the somewhat bulky A-pillars, which can restrict vision from certain angles, and the less-than-robust Bluetooth connectivity, which connected to my older phone only with difficulty, and has apparently had some issues with newer iPhones (this is software driven so it will likely get addressed in due course, but in the meantime it’s worth confirming that the system successfully supports all the features you require on your particular phone). 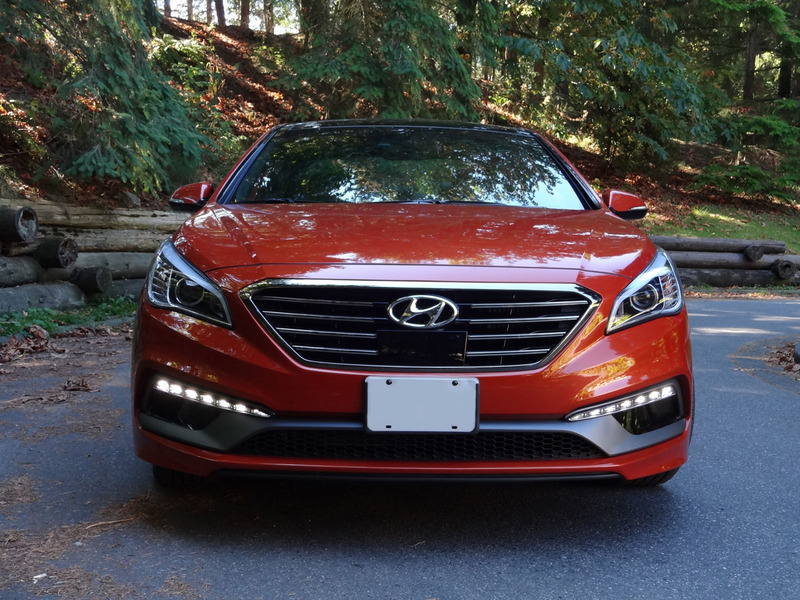 technology and driving dynamics, and wraps it all up in a style that’s perhaps less attention-getting than the previous Sonata, but that exudes an new upscale sense of sophistication. 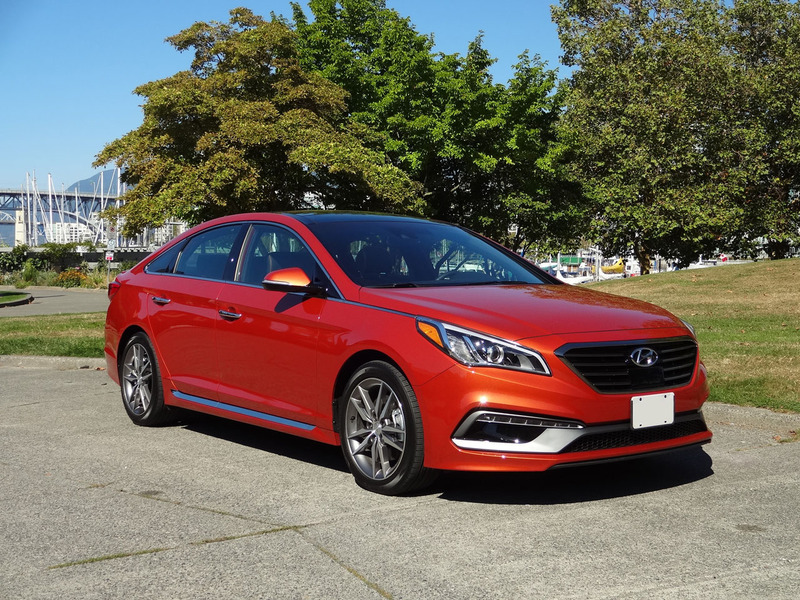 At $25,694 (destination in) for the base 2.4-litre GL, the Sonata already offers a compelling value proposition, and the loaded Ultimate 2.0T ($36,494 destination in) takes that same value proposition into near-premium territory, with a wide array of high-end features and conveniences. 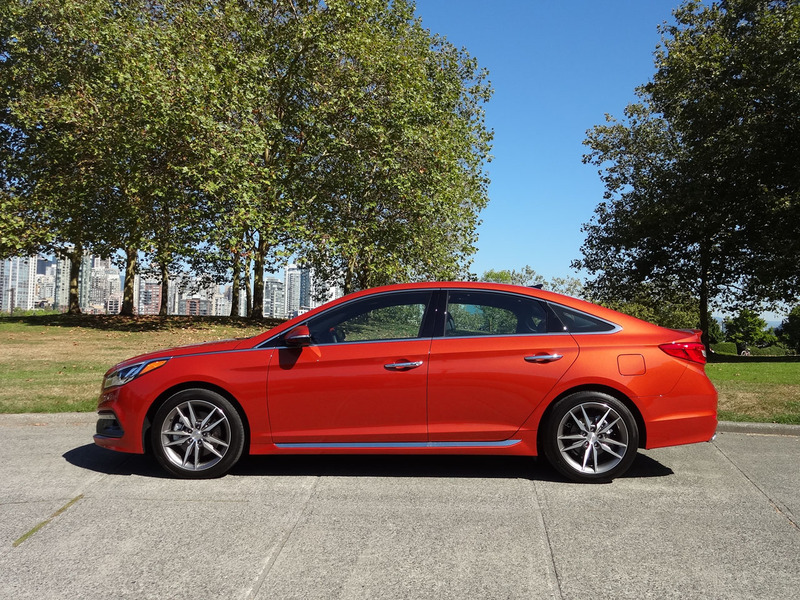 Whether or not it’ll be enough for the Sonata to overtake the Camry and Fusion remains to be seen, but it should certainly be enough to warrant a test-drive for anyone in the market for a mid-size sedan.